Several companies are already offering XBee NB-IoT add-on board including Digi International themselves, and SODAQ with their NB-IoT Bee N211 module going for 69 Euros. 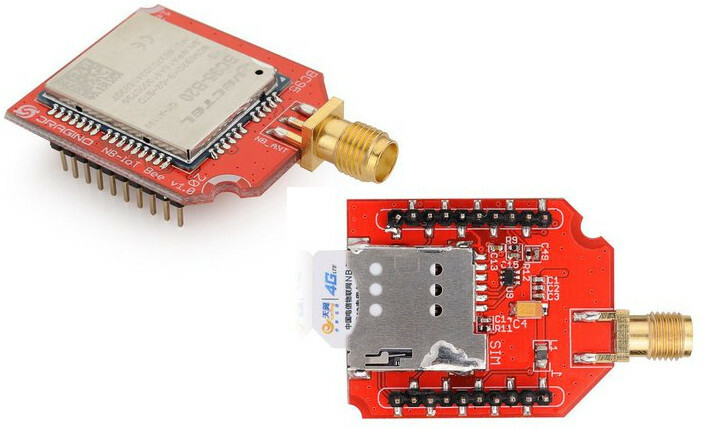 Dragino NB-IoT Bee is another option for NB-IoT connectivity using Xbee form factor, and the board should be cheaper than most as it goes for $23.00 on Tindie with an external antenna. Typical applications for such board include smart metering, facility management services, security & fire alarms, asset tracking, smart city infrastructure and so on. If you are looking specifically for Nb-IoT Bee QG96 add-on board, it’s currently out of stock, but a new batch will arrive on July 15th. 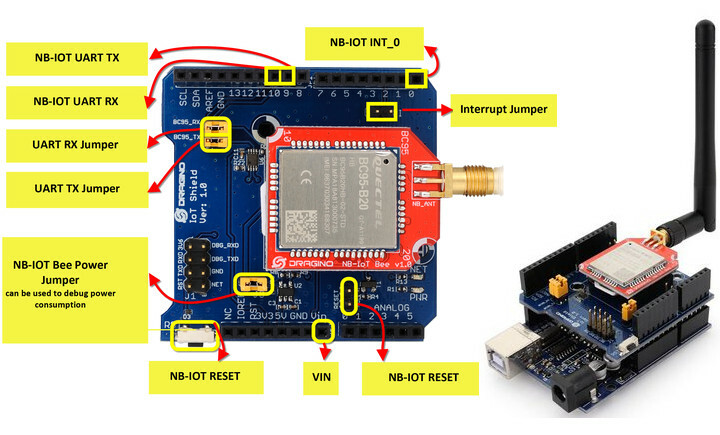 The product page features more documentation including links to the datasheet and a Wiki that explains how to get started with Arduino using Dragino NB-IoT shield with NB-IoT Bee pictured below. If you are interested in purchasing in quantities, or/and find a few more details, you may visit the product page on Dragino website.